The Moravian Archives, Bethlehem, PA, is accepting applications for an intensive course at Moravian College on learning to read German script. Now in its 46th year and the longest-running course of its kind in the country, the course will run from June 1 through June 14, and is being taught by Dr. Paul Peucker, Lanie Yaswinski, and Thomas McCullough, experts and experienced instructors in reading and writing German script. As those of you who have researched your Germanna roots know, this skill can be particularly useful! 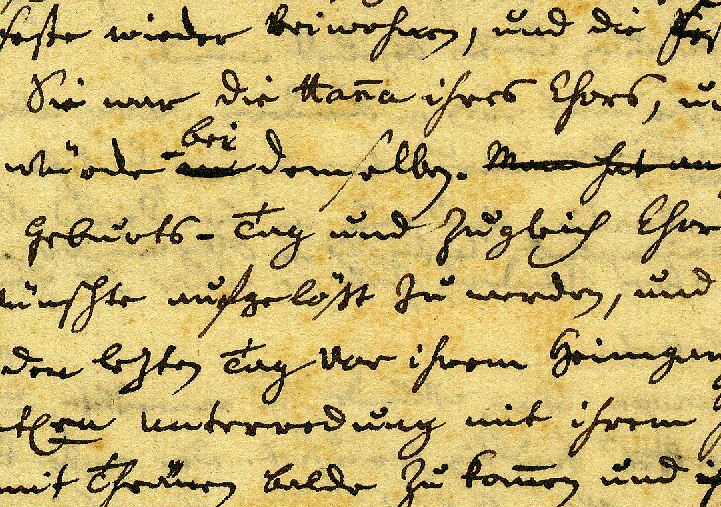 After two weeks of intensive studying, practicing, and reading and writing, participants will be able to read German manuscripts dating from the 17th through the early 20th centuries. The course includes many texts selected from the extensive holdings of the Moravian Archives. Participants will also spend considerable time learning to write German Kurrent script, based on contemporary teaching methods. Participants need a minimum of two years of college-level German language study or the equivalent, but prior knowledge of German script is not necessary. The fee for the script course is $785 (not including housing or board). More details, including contact information and online registration, is available here.